When we place our parents or loved ones in nursing homes or assisted living communities, we expect them to be treated with a high level of respect. While many of nursing homes provide excellent services and care, there are the few establishments or individuals that don’t. Nursing home abuse and neglect can be unintentional due to overcapacity or a staff shortage. Lack of resources can limit the quality of care given to the residents. Regardless of the reason, nursing home abuse can be incredibly physically and psychologically damaging. Though many nursing home residents are well-cared for, abuse or neglect is common. Noticing the signs of abuse is critical to stopping it, especially if the person who is being abused has not reported it. According to the National Council on Aging (NCOA), approximately one in ten Americans over the age of sixty have experienced some form of elder abuse. Research shows that upwards of five million seniors are abused every year. Only one in fourteen of those cases are reported to authorities. The Baby Boomer generation is currently the biggest generation of adults living in the United States. It’s expected that over the next twenty years, nursing homes will experience a huge influx in residents as the Baby Boomers are no longer able to comfortably or safely care for themselves. This will undoubtedly lead to an increased rate of elder abuse based on current statistics. Identifying signs of elder abuse can be challenging. In many cases, the victim is often unaware or too ashamed to tell anyone. Therefore, it’s important to pay close attention to the potential signs of elder abuse. Physical: The most obvious signs come from physical abuse. Common physical signs can include welts, bruises, and lacerations. Exacerbation of pre-existing health conditions or any rapid deterioration in the health of the patient could also be a sign – especially if the nursing home lacks proper medical documentation of the injuries or treatment performed. Another red flag could be when the elder is unwilling to talk about how they received a recent injury. Psychological: The psychological aspect of abuse is much harder to pick up on. If the elder is experiencing emotional distress or depression, it could be an indicator of verbal or mental abuse from the caregivers. Financial: Financial exploitation can occur as the elderly tends to think of their caregivers as trusted confidants. Those people who suffer from age-related cognitive deficiencies are 100 percent more likely to suffer from financial abuse than those who don’t. In many cases, financial abuse goes unreported. It’s important to collect as much documentation as possible when reporting suspected elder abuse. Be sure to gather the facts and create a detailed log of what you suspect is going on. Financial records, bank statements, photos, and videos can all be helpful in proving abuse. Interview witnesses, such as other staff members, residents, or family members as soon as possible while their memories are still fresh. Washington State has set up an elder abuse hotline in which concerned citizens or employees of nursing homes can report suspected elder abuse. If the incident is an emergency, report it to authorities immediately. It is better to report any possible signs early on rather than to wait until something tragic happens. Nurses and other mandated caregivers can be liable by both the civil and criminal legal systems if they intentionally fail to report abuse. Knowing how to identify abuse and how to report it can be critical to preventing further harm. Nursing home abuse is a difficult issue to face. Elder abuse exists in many forms, many which might not have clear physical signs. If you are aware of an elder abuse situation or suspect someone you know is being abused, contact Adult Protective Services immediately. After the safety of the elder has been taken care of, it’s important to seek experienced and dedicated legal counsel for support. 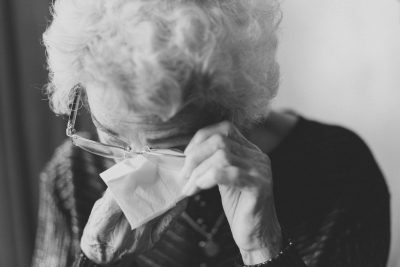 At Evergreen Personal Injury Counsel, we can help you navigate through the often-complex process of finding justice and safety for victims of elder abuse.